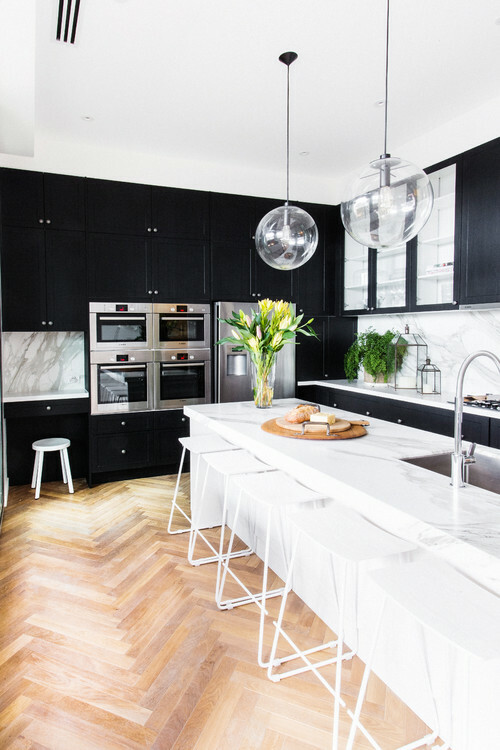 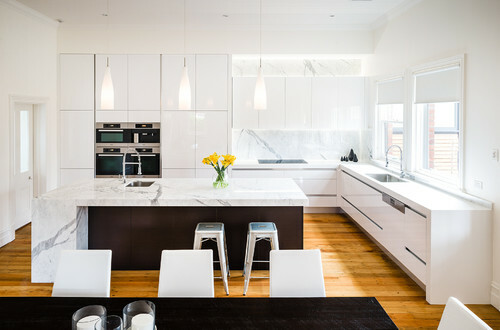 With white kitchens [still] all the rage, we’re starting to get bored of the sterility, the cleanliness (not so clean once you’ve cooked in it) and the nearly-bland sameness that comes with an all-white room. 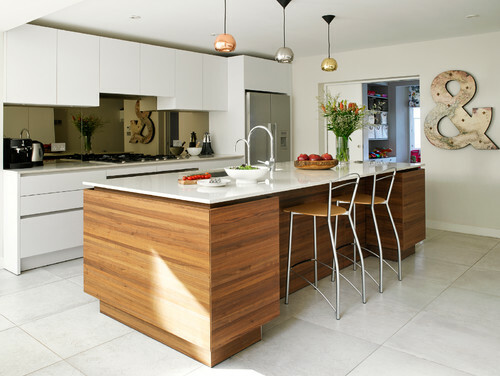 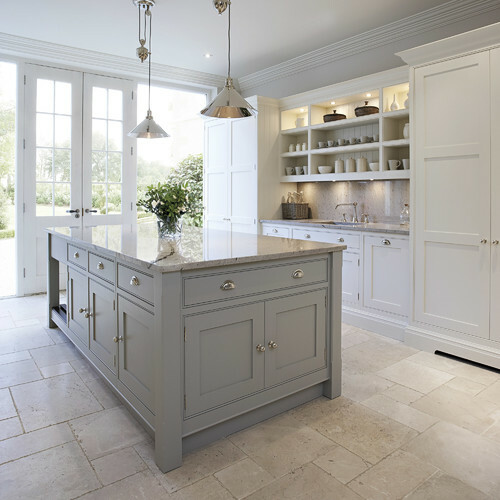 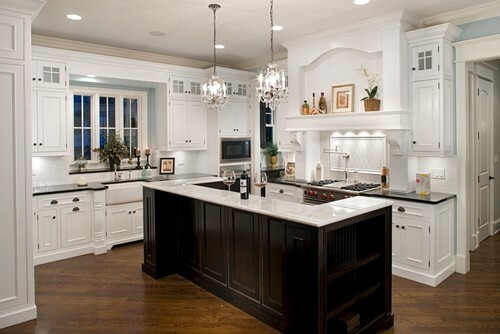 Fortunately, contrasting islands are also stylishly popular, breaking up the monotony of solid white. 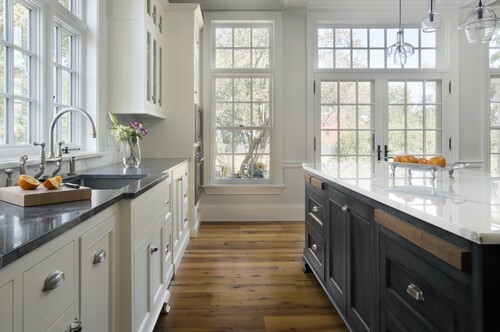 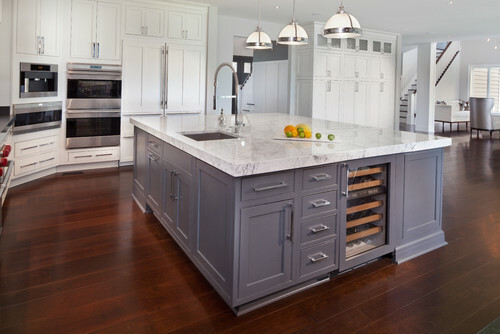 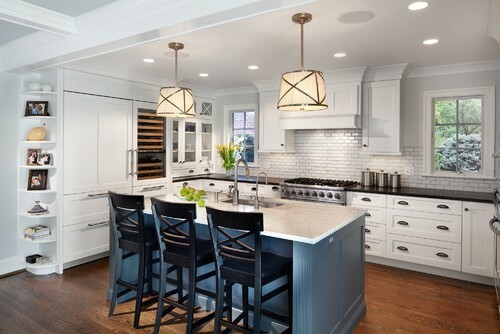 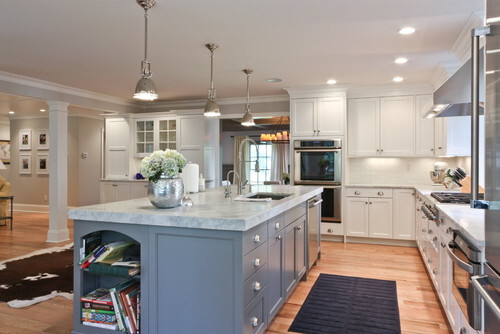 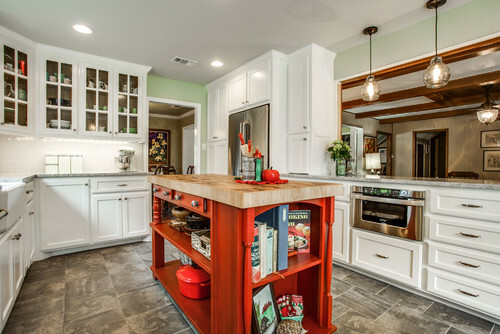 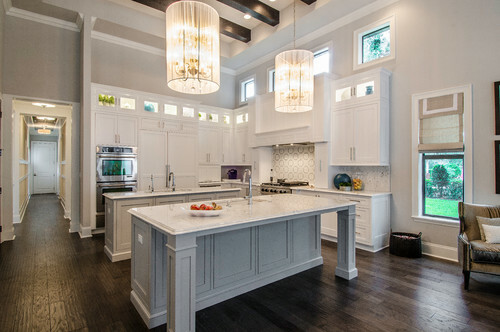 A contrasting island is more effective than a similarly colored backsplash or fixture due to its sheer size. 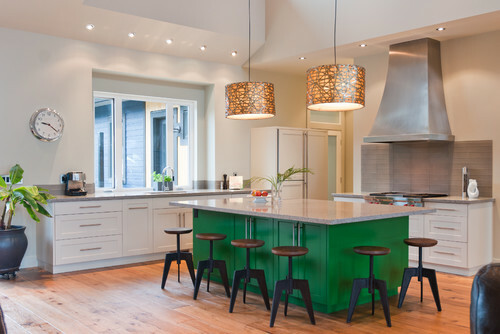 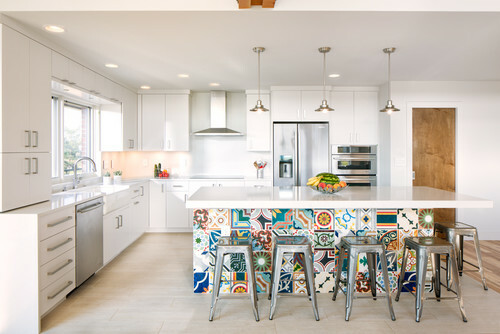 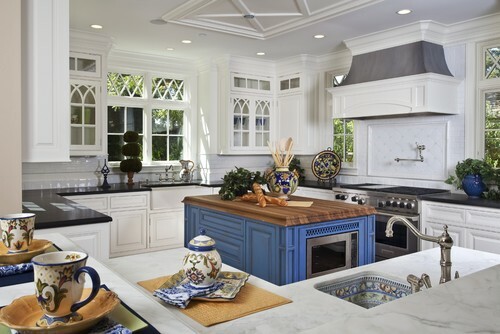 When paired with all- (or mostly) white perimeter cabinetry, a colorful island stands out dramatically, infusing an otherwise cold room with warmth, interest, and vibrancy. 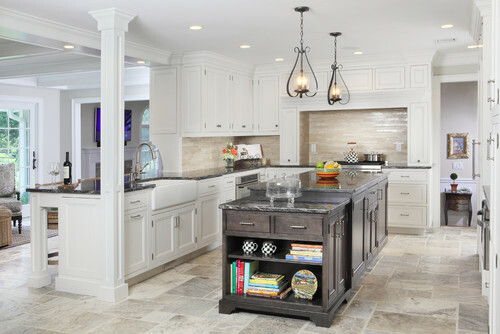 Kitchen by Signature Kitchens, Inc. 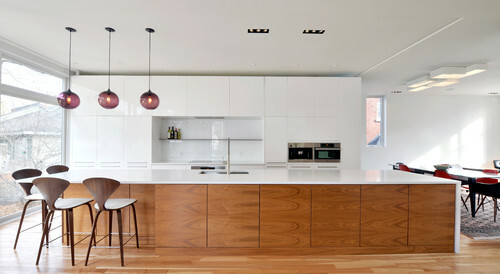 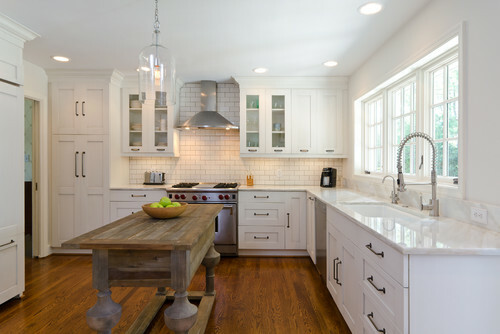 Kitchen by Jewett Farms + Co.